The Vinturi Challenge is where we test the Vinturi aerating system against the decanter and the traditional, straight from the bottle. To see the details of the Challenge, read the 1st post of Barolo. My intention is to find the best approach to each wine. 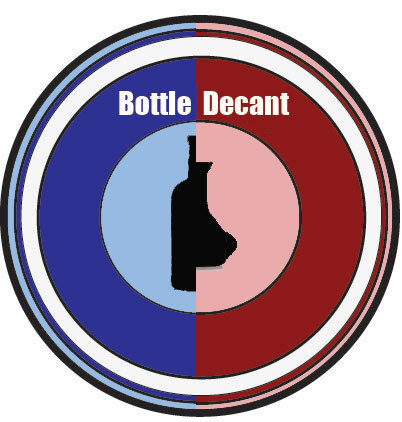 Some wines will benefit from decanting, others are better straight from the bottle and maybe we’ll find one which the Vinturi will benefit. By the time we get through different wines, you will have a better idea of when to decant, when to Vinturi and when to let be. In a nutshell, during the Vinturi Challenge we taste the wines blind. One wine is decanted up to 30 min before tasting. The other wine is poured straight from the bottle and the last is poured through the Vinturi. The judges rate the wines on aromatics, flavors, tannin, alcohol and acidity. At the end, each judge picks their favorite glass. We then show the glass to see which was the judges preference. I chose a Malbec to face the Vinturi Challenge, because I presumed it needs aeration. Laura Catena and Ernesto Catena are the people behind this popular Malbec. The wine is big and rich, pretty much what people want from a premium Malbec. It is unfiltered and spends about a year in new and used French oak. Unfortunately, out of the four judges, not one picked the Vinturi. Strangely, the nose was closed off and was not as expressive as the wine which came from the bottle or decanter. On the palate it was very similar to the wine straight from the bottle, it was dry, tannic and juicy. All the judges agreed that from the Vinturi the finish was more expressive of fruit. But why did it not win? The main reason was the lack of aroma and the one-dimensional finish of merely fruit. Two judges preferred the Malbec straight from the bottle. The aromas were of blackberry and other traditional Malbec fruits. Although the palate was similar to the vinturi, dry and tannic, the fruits were more expressive. The finish was long and balanced. Two other judges preferred the wine from the decanter. The aromas were a subtle and we began to get more red fruits than the other two glasses. The distinguishing reason was that in the palate the tannins were softer. The wine’s structure was more integrated and it carried over in to the finish. What stood out in the finish was the mouth-watering acidity, it just kept going. Malbec has faced the Vinturi Challenge and it came to a Split Decision!